Been an E-40 fan since The Source Hip-Hop Hits vol 2. Makes sense 40 Water retires 'drip' for the melt. New video featuring Milla is slick. Video is bright and clean. No words just watch. Renowned for his spectacular vernacular, few wordsmiths in the rap game can stand up to E-40. Announcing the second installment in his "Definitions Trilogy," E-40 prepares to launch Practice Makes Paper, his upcoming project. With a massive vocabulary and a knack for finding hidden meanings, E-40 earned a reputation as one of the best lyricists in hip-hop, twisting phrases that embed themselves in listener's heads and in the culture at large: Captain Save-a-Hoe, Broccoli (weed), Fetti (money), and more. In the upcoming project, 40 flashes superior slang, having his way with rap lingo and coining some more indelible phrases of his own. The follow-up to 2018's The Gift of Gab, which featured appearances from Vince Staples, Ty Dolla $ign, and more, Practice Makes Paper arrives this spring via Sick Wid It Records. 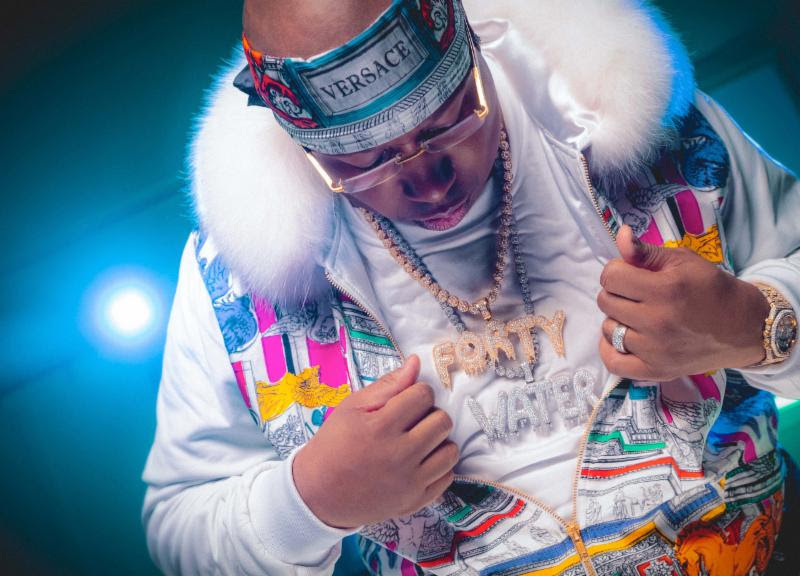 Reaching levels of drip heretofore unseen by mankind, E-40 shares "Melt," his latest video. Showcasing his signature elastic delivery atop a rubbery mob bassline, 40 and guest star Milla coin a new phrase for 40's supernatural level of flexing: I don't drip, I melt. Rocking all white and drawing attention to his jewels, E-40 leads an underwater dance party in the new video, which features cameos from Bay Area figures like P-Lo, Nef The Pharaoh,and ShooterGang Kony, all while he indulges in the creative lyricism that made him famous: Water, water, the Waterboy Bobby Boucher/Drippy neck, spent about $200k. In addition to his legend status in the rap game, E-40 is a mogul in the world of adult beverages. His premium tequila, E Cuarenta, can be found at retailers across the West Coast, including Safeway, BevMo!, Total Wine & More, Save Mart, Albertson's, FoodMaxx, Raley's, Lucky Supermarkets, Costco, and more.